Fig. 1 – The East Asiatic Company Building (Danish: Det Østasiatiske Kompagni), established in 1901 by the Danish merchant Hans Niels Andersen, who also established the Oriental Hotel, to the left (outside of the shot). Today, this building sits deserted. 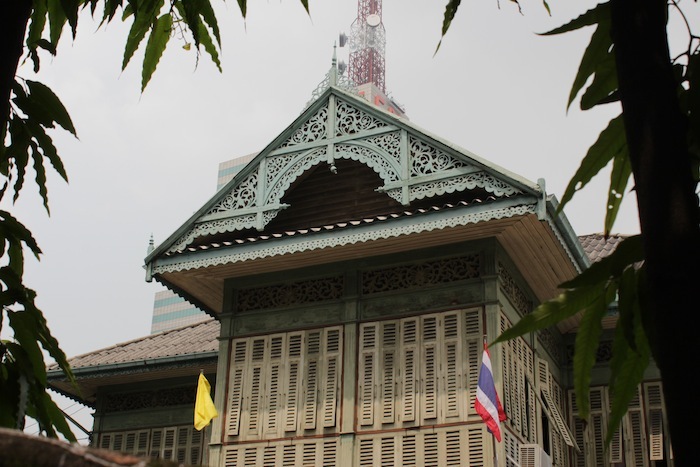 Surprisingly for a city that has never been colonised, Bangkok has a surfeit of colonial architecture, belonging to the full range of European Imperial styles. 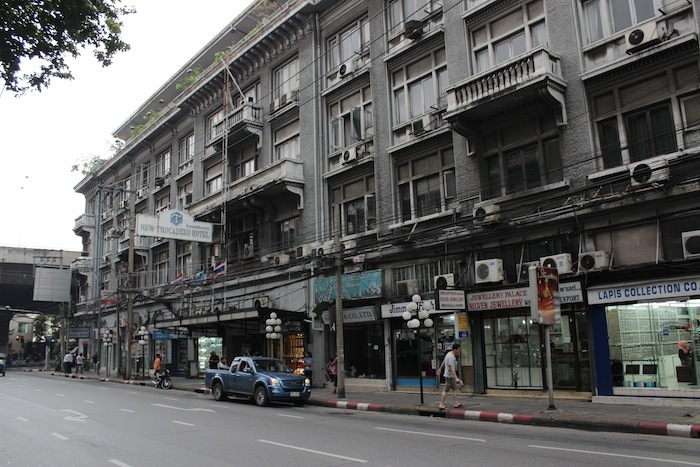 Because it was never colonized by any one European power, all the European powers are represented one way or another in the urban landscape, particularly around Bang Rak, the old Farang (European) Quarter, and the larger Silom precinct. The English are here, alongside the French and the Dutch – the usual suspects. The Portuguese make their first (and only) appearance on my Grand Tour here as well; as do the Danish, who were never colonizers, and were instead, hired by the Siamese navy; and the Italian, who were responsible for the Venetian and Neo-Italianate architectural styles that characterised many of these historic buildings. 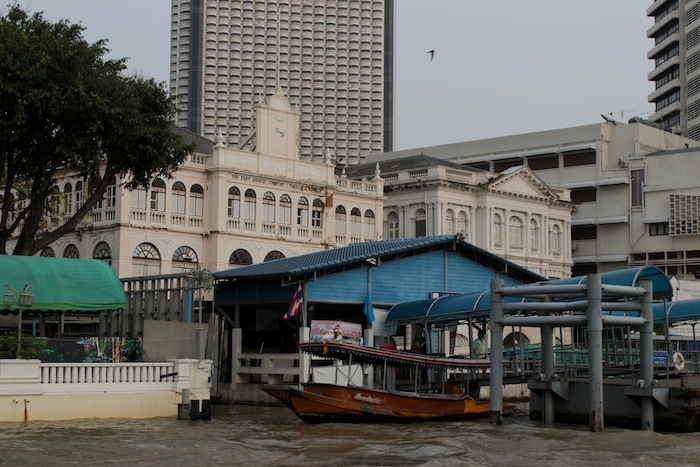 This short afternoon in Old Bangkok starts off on the River, where the best views of the city’s most grandiose European edifices may be had. 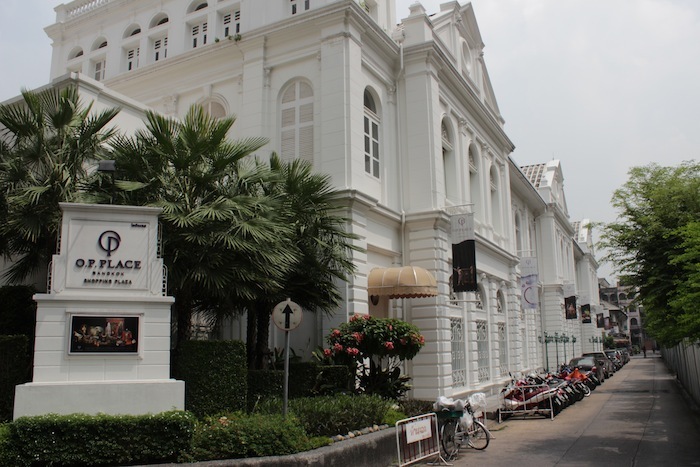 We alight at the Pier of the Oriental Hotel, and take a leisurely walk through the historic and surprisingly multi-ethnic and multi-religious district of Bang Rak, flanked by Charoen Krung Road, or New Road, in the East. 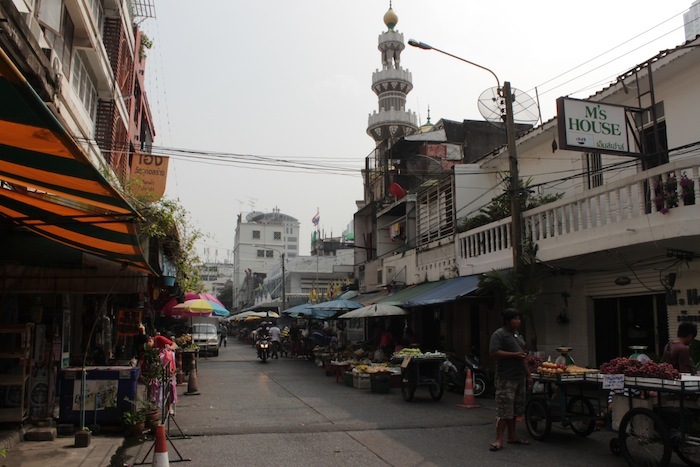 New Road is the oldest paved road in the kingdom, the very first to be laid out in the city, commissioned King Mongkut (Rama IV) when European consuls petitioned for a road to be built. 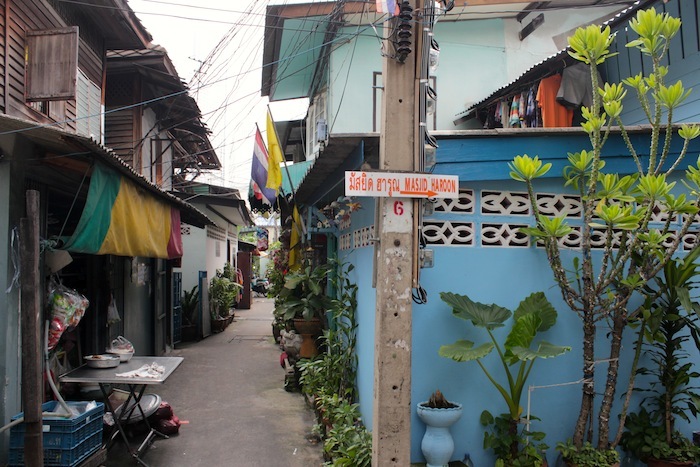 Today it presents a landscape of two-storey Chinese shophouses – the kind found all over Southeast Asia – and wreathes of snaking, black electrical cables. 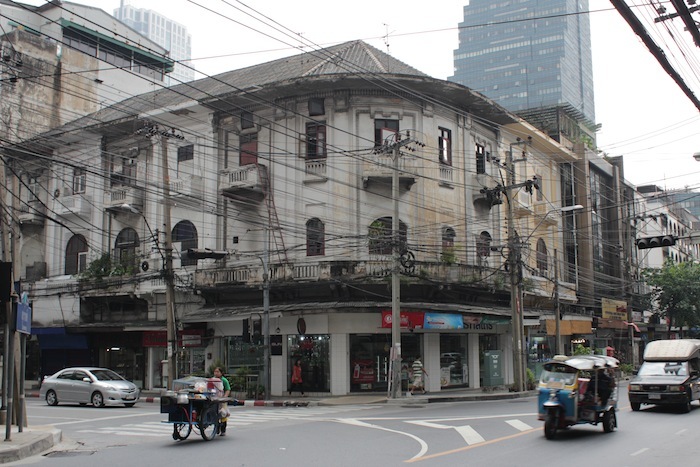 At Silom Road, I head East, past the modern skyscrapers that now dot the area to a few remaining historical landmarks. 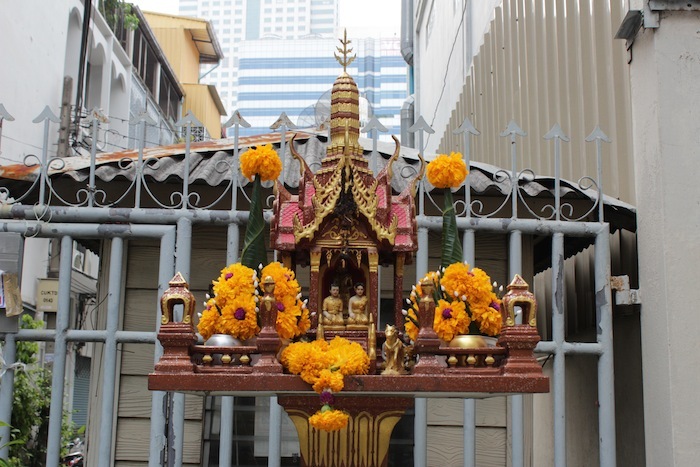 There is a Hindu Temple here, a Malay Mosque, a Portuguese shophouse, an English Library, and many miniature shrines the Thais erect to their buddhas and deities along the sides of the streets. 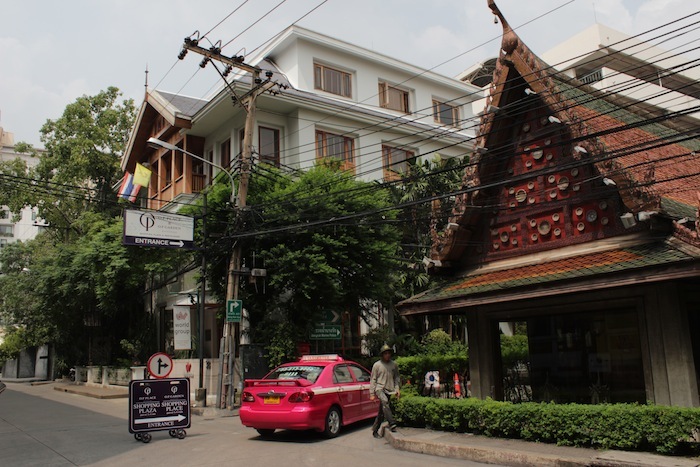 These are testament to a once, and still cosmopolitan culture Bangkok plays host to. Fig. 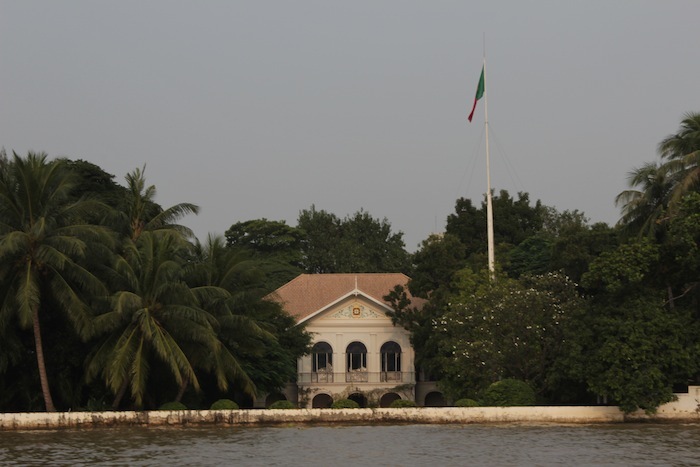 2 – The French Embassy has stood on this site since the mid 1800s. 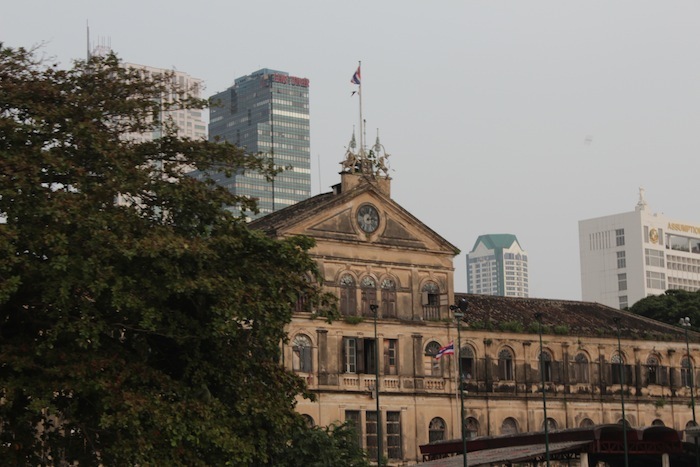 In 1893, three French warships forced their way into Bangkok, docking at the French Legation with their cannons aimed at the Grand Palace. Their aim had been to forcefully take Siam as the jewel of French Indochina. Fig. 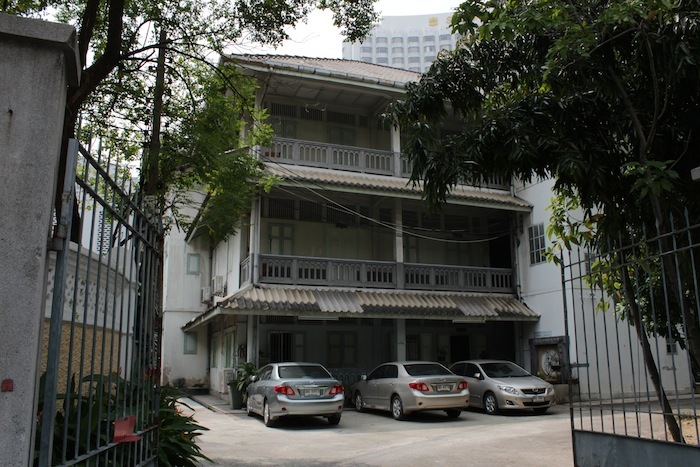 3 – The Old Customs House (1880), currently used as a fire brigade headquarters, despite its dilapidated state. Fig. 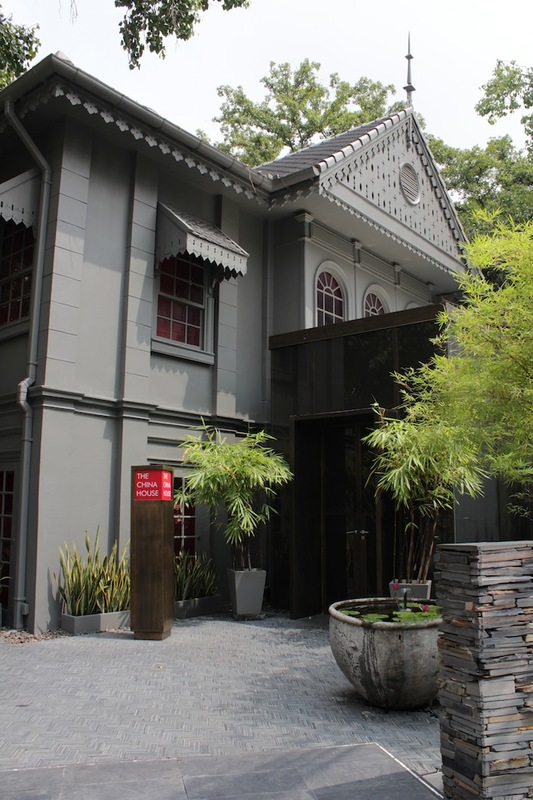 4 – The Portuguese Legation has stood here since the early 1700s, and is the oldest embassy building in Bangkok. Fig. 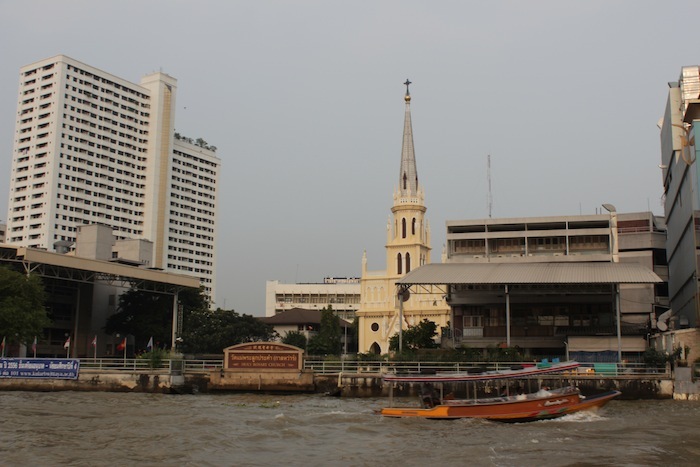 5 – The Holy Rosary Church, built in 1786 by the Portuguese, is one of the oldest churches in Bangkok. It was built in the time of King Rama I, by the descendants of Portuguese traders from Ayutthaya (the old Siamese capital). Fig. 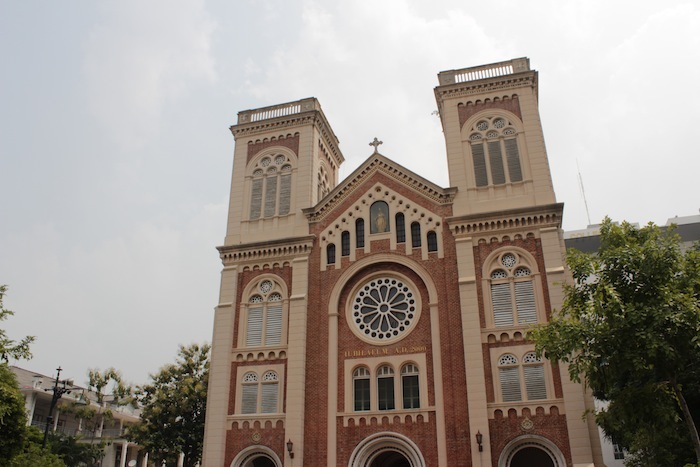 6 – View from within the churchyard of Assumption Cathedral towards the Oriental Hotel. Fig. 7 – Assumption Cathedral, a Roman Catholic church established by the French. The building dates from 1910. Fig. 8 – Part of a complex of colonial era buildings affiliated with Assumption Cathedral. Fig. 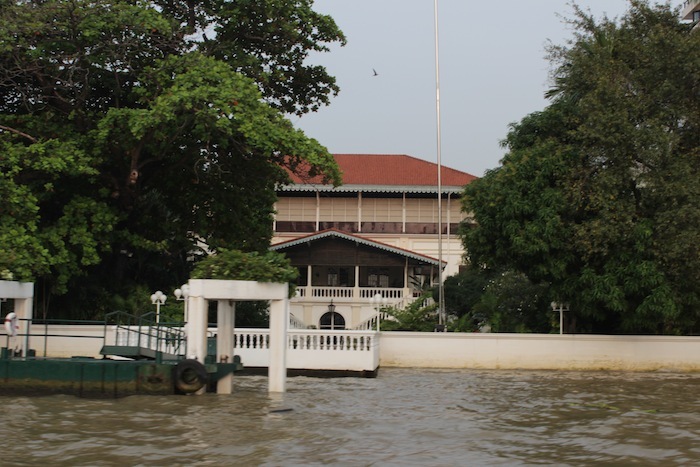 10 – Colonial villa juxtaposed alongside more traditional architecture. Fig. 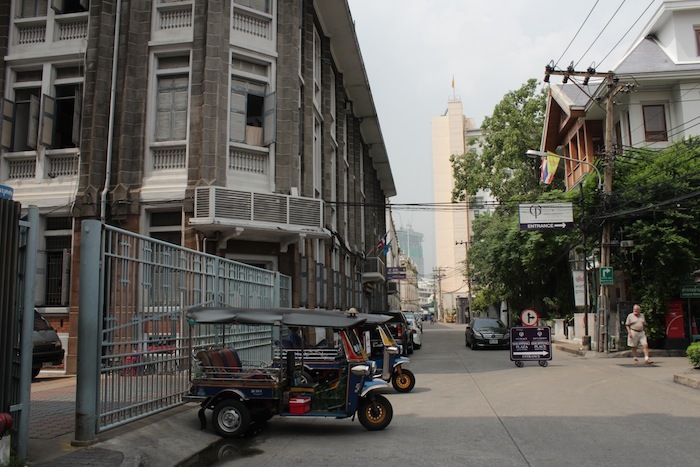 11 – Across the road: tuks tuks await customers in the shadow of the Catholic Mission of Bangkok, part of the Assumption Cathedral complex of buildings. Fig. 12 – Oriental Plaza, a departmental store built in 1905, and still functioning as a department store. Fig. 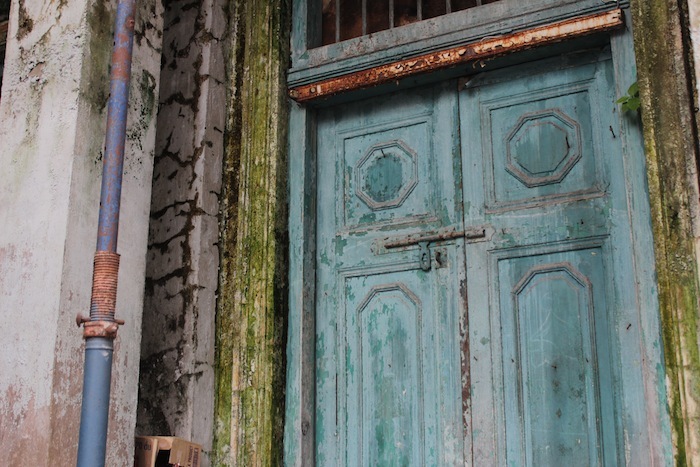 13 – Colourful but dilapidated façade near the Old Customs House. Fig. 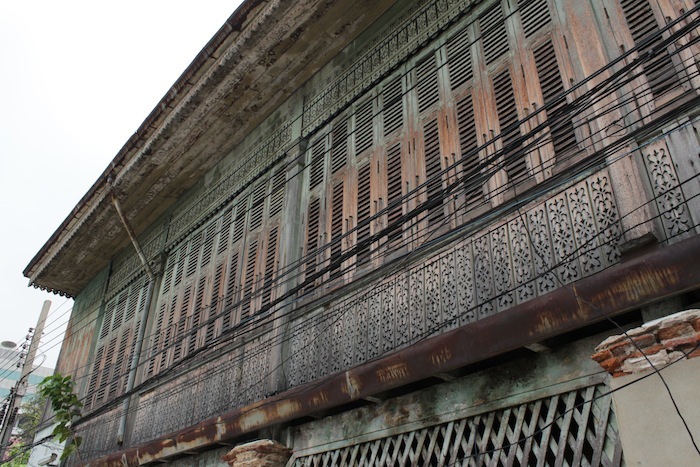 14 – Detail of the roof and slatted windows of a wooden Malay-Muslim bungalow, in the Haroom Mosque area, populated by Muslims from Java, who had escaped Dutch colonials to settle here in the 1800s. Fig. 15 – Detail of another Malay-Muslim bungalow in the Haroon Mosque compound. Fig. 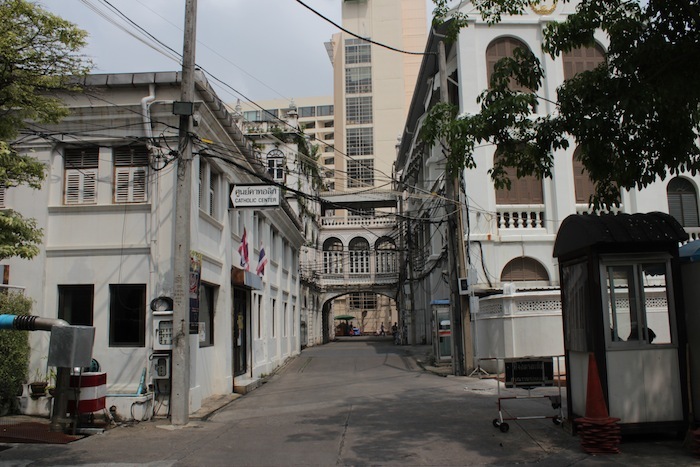 16 – Out of nowhere: a Malay kampung, at the heart of the Colonial Quarter. Fig. 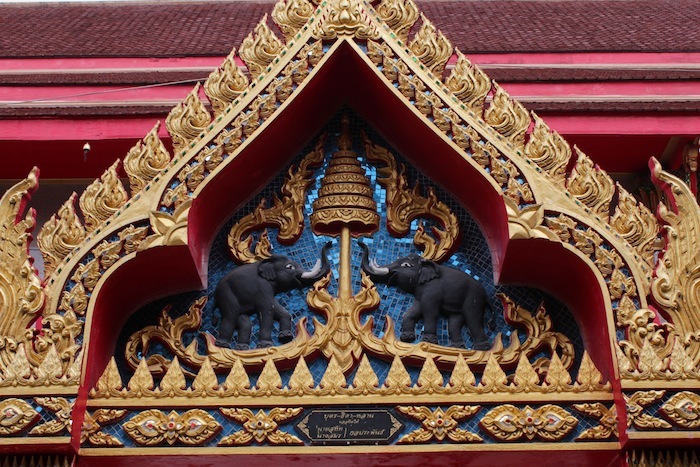 17 – Detail of Wat Muang Khae, a Thai Buddhist Temple, right by the Malay Kampung. Fig. 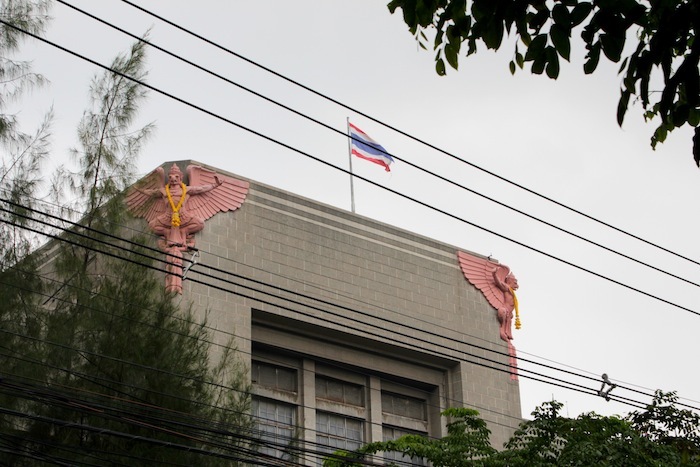 19 – The Modernist hulk that is the General Post Office (1930s), adorned with a pair of Garudas – semi-divine bird-men from Hindu mythology. Fig. 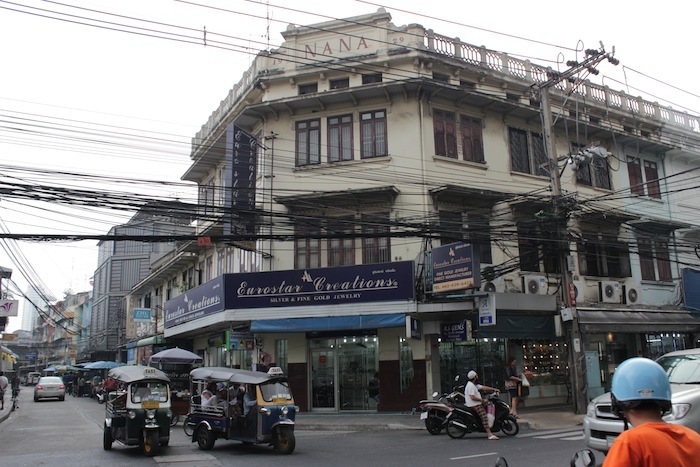 20 – 19th century Chinese shophouse architecture along Charoen Krung Road. Fig. 22 – The Hotel Trocadero, built in the 1920s and once a serious competitor of the Oriental’s. Now it’s the decrepit New Trocadero Hotel. Fig. 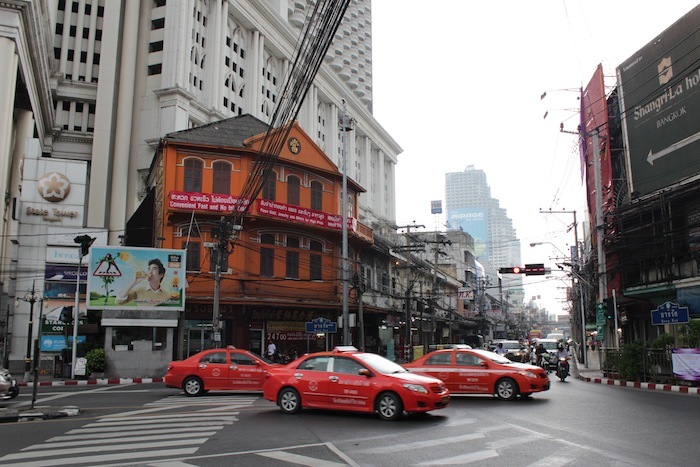 23 – The oldest Chinese pawnshop in Bangkok, designated a national heritage site. 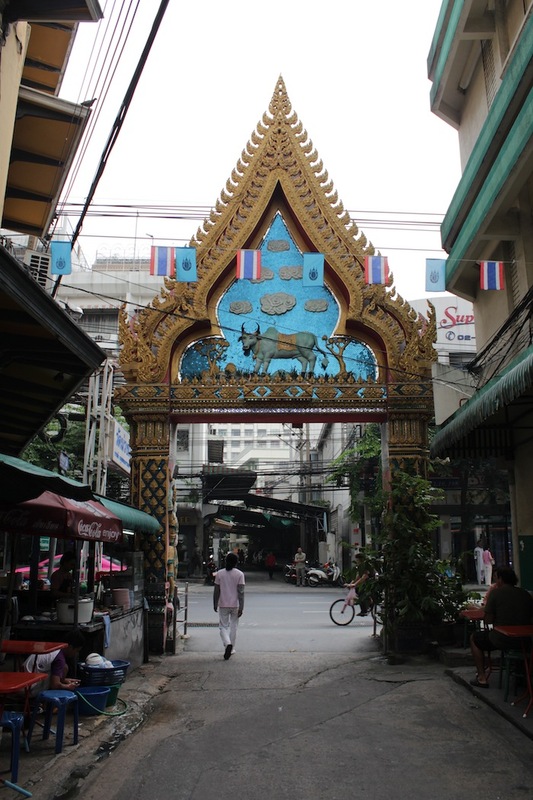 It is located in Chinatown along Charoen Krung Road. Fig. 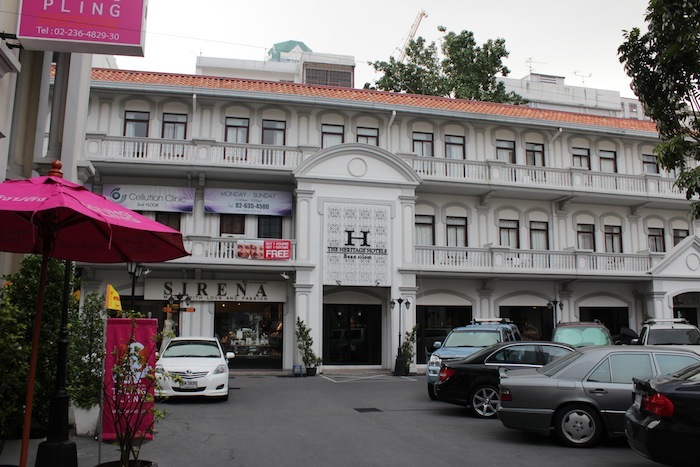 24 – Heritage Baan Silom Hotel, located in a cluster of neocolonial buildings built in the ‘50s. Fig. 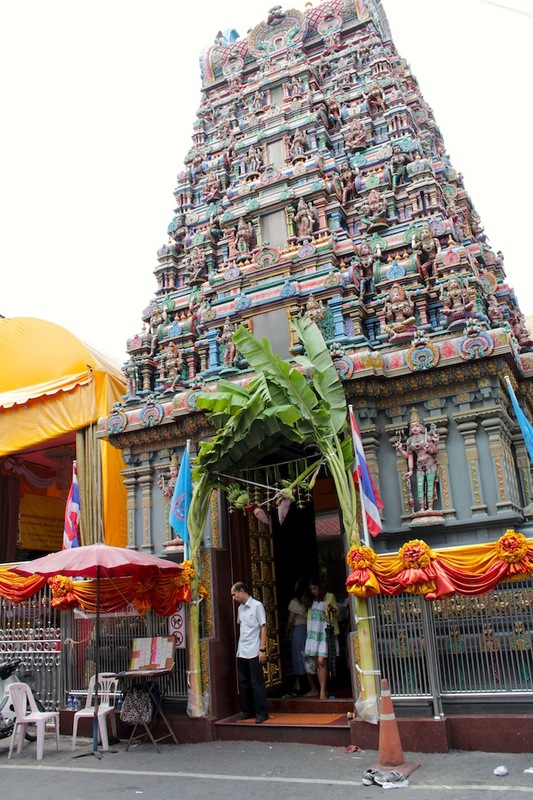 25 – The Sri Mariamman Hindu Temple, also known as Wat Khaek Silom, established in 1879 by Tamil immigrants. My visit to the temple saw many Thais also worshipping and seeking blessings alongside Tamil devotees. 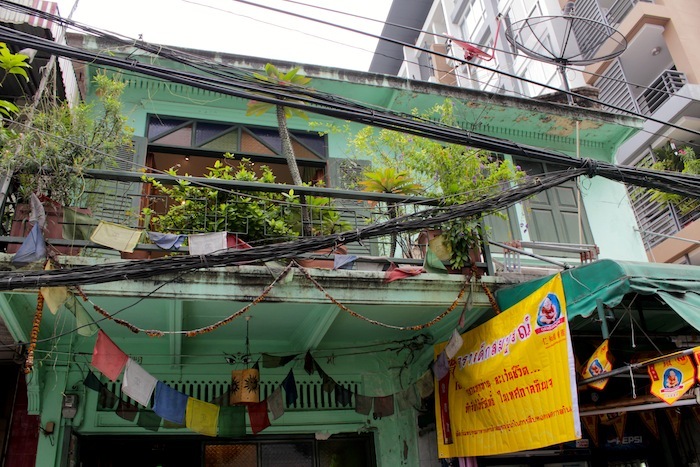 Fig 26 – Across the street from Sri Mariammam sits Kathmandu Photo Gallery, housed in a restored Sino-Portuguese shophouse. Fig 27 – One of many ubiquitous street-side shrines. This one sits on Pan Road, across from Kathmandu Photo Gallery. Fig. 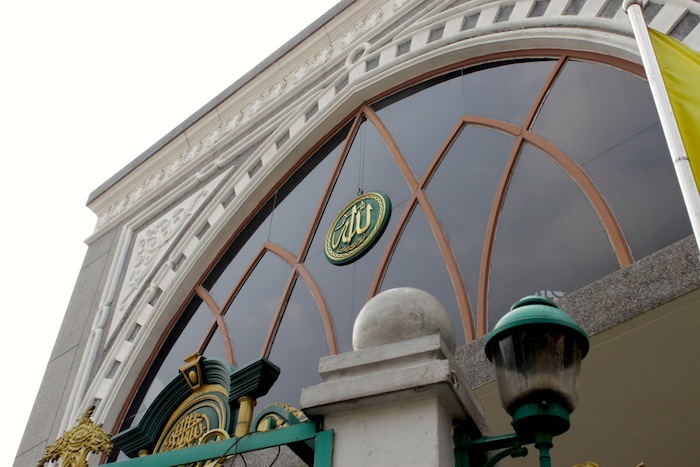 28 – Masjid Mirasuddeen dates from 1983, though there has been a mosque here since 1912. Fig. 29 – Market and residences in the vicinity of the mosque. Fig. 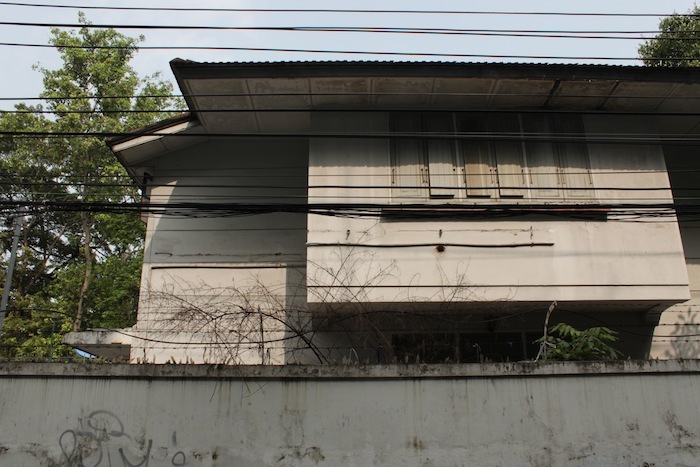 30 – Colonial bungalow on Pan Road. Fig. 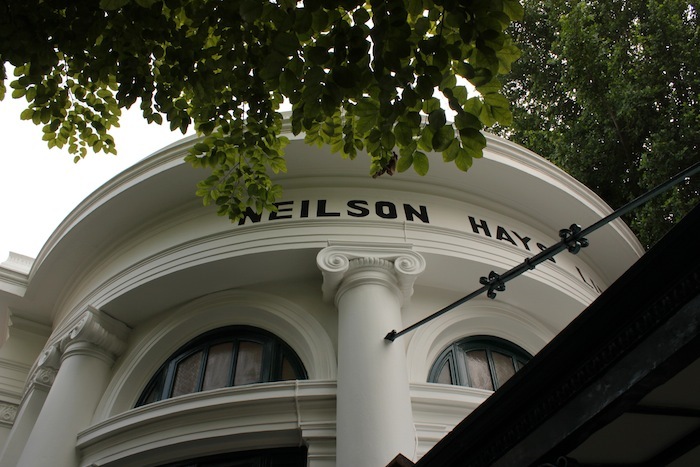 31 – The Neilson Hays Library (1869), sits at the end of Pan road and my afternoon walk through Old Bangkok. The interior has been immaculately preserved and exudes a wondrously old-world feel. Spend the rest of the afternoon here with a book. Gallery | This entry was posted in Art & Architecture, Cities & Regions, Culture & Lifestyle, Landmarks & History, Photography, Travel & Mobility and tagged An Afternoon in Old Bangkok, Bang Rak, Bangkok, Chao Phraya River, Kennie Ting, Multicultural, Old Bangkok, Silom, Thailand, The Grand Tour, The Grand Tour of Southeast Asia, Walking Tour. Bookmark the permalink.